The Office of the Inspector General provides oversight of the programmes and operations of the Organization, through internal audit, investigation and inspection. The Office of the Inspector General has responsibility for monitoring and evaluating the adequacy and effectiveness of the Organization's system of internal control, financial management and use of assets. The Office provides the Director-General and the functions and programmes audited with independent, objective assurance and consulting services designed to add value and improve the Organization's operations. It helps the Organization accomplish its objectives by bringing a systematic, disciplined approach to evaluate and improve the effectiveness of risk management, control, and governance processes. The investigation unit of the Office of the Inspector General investigates allegations of fraud and misconduct in the programmes and operations of the Organization. 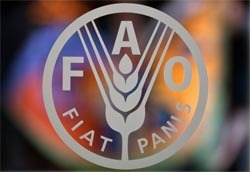 The Office reports to the Director-General and Senior Management on lessons learned, and promotes policies and activities that enhance the integrity of FAO's operations. In addition, the Office has the mandate to independently review complaints related to non-compliance of the Organization’s obligations under the FAO environmental and social standards.